Our morning cooking class starts off in a gorgeous local market, where you will shop for your ingredients. 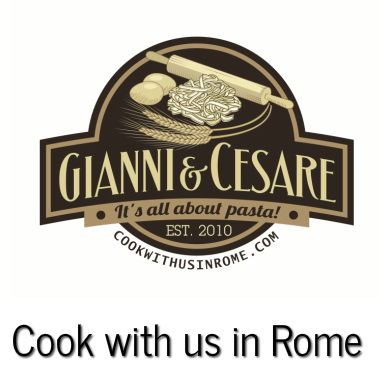 Gianni & Cesare will then take you for a stroll in the neighborhood to see how the Romans shop for their food. Fully loaded with fresh produce, you'll head back to Gianni & Cesare's studio located right on the Tiber River in the historic center. Roll up your sleeves and get ready to get down and dirty with some flour. You'll learn how to mix egg & flour to make the perfect dough for pasta. 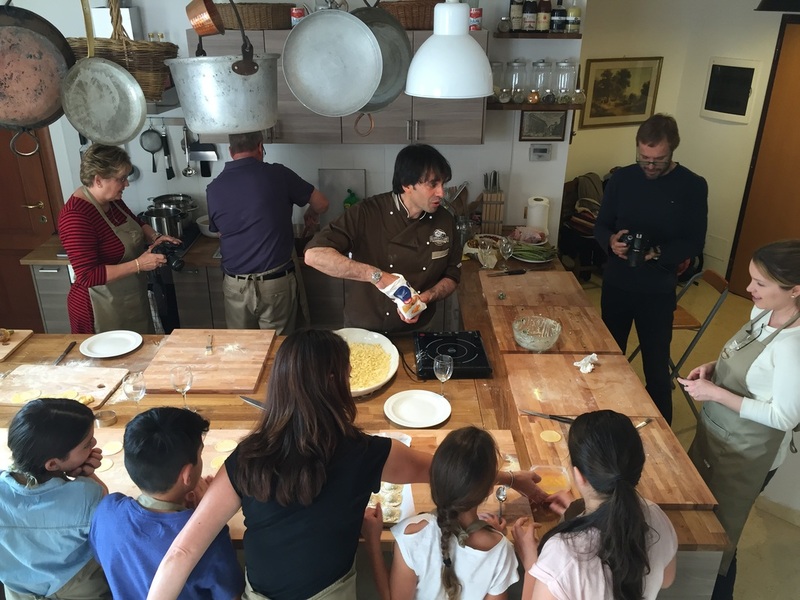 You will learn to cook an antipasto, 2 types of different pasta from scratch (an egg-based dough and a water & semolina dough) with a unique perfectly-paired pasta sauce for each pasta, and a delicious dessert. You'll sit down and eat your lunch accompanied by local wines (prosecco as a bubbly to start, white and also red). Our afternoon cooking class does not include a market tour because the markets close around lunch time, so we will meet directly at our studio. We will give you precise instructions when you book. 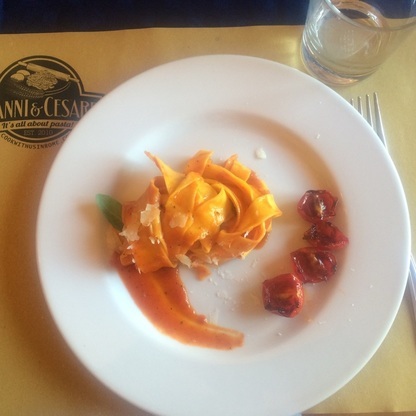 Your menu will be the same as the morning cooking class (antipasto, 2 pastas with 2 different sauces & dessert). Your dinner will also be paired with local wines. Are you a celiac, a vegetarian or have food allergies? No problem! We would love to host you at our cooking class. Please contact us to see if our current menu is compatible with your diet or allergies. If not, we can organize a private cooking class just for you. During our small-group classes, we cannot modify the menu for every allergy, so for any special menu, you will have to book a private lesson. Check out our FAQ's for more info on this or send us a message. Have you had your heart set on learning to make lasagna or pizza? We are happy to satisfy most requests if you book a private lesson. Please read our FAQ's and contact us for more info about pricing, availability and menu requests. We love working with children! (We have them ourselves). 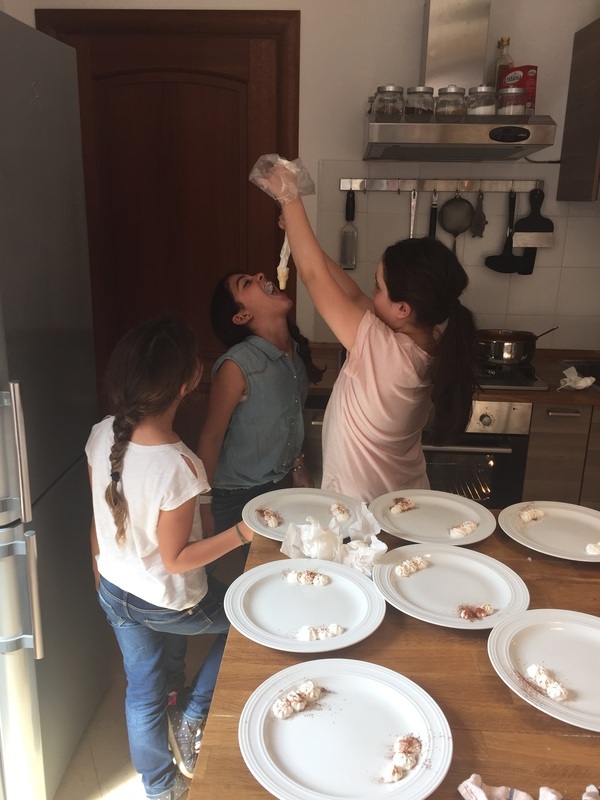 Our cooking class is fun for the whole family and will be a memorable day while in Rome. It takes skill to make a flour "doughnut" and work the egg in. Your kids will be mesmerized while watching the process and then they will enjoy getting messy while trying to do it themselves. Please contact us and let us know how old your kids are so we can start the booking process. What dishes will you prepare? It will depend on what's in season since the markets only stock what is fresh and local. For starters we like to cook stuffed fried fresh zucchini blossoms in the summer or herbed stewed Roman artichokes in the winter. Some examples of your pasta dishes are: gnocchetti in a goat cheese & broccoli sauce, fettuccine al pomodoro, or ravioli stuffed with spinach and fresh ricotta cheese. We love dessert, so let's not forget your sweets: Gianni's famous tiramisú or his mouth-watering warm chocolate and pear torta! Are Cook with us in Rome's classes hands on? Yes, they are! 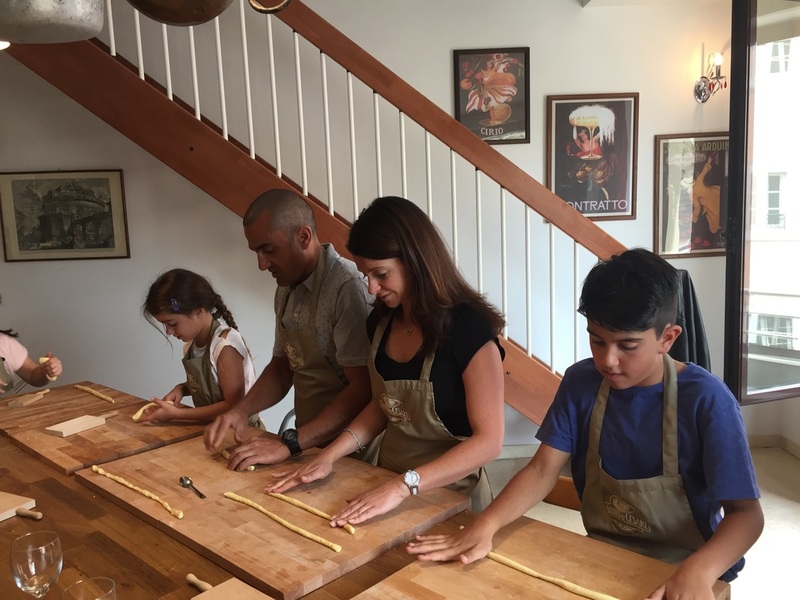 You will chop tomatoes, make your own pasta dough from scratch, learn how to make pasta with a pasta board, clean your own zucchini blossoms, etc. Everyone gets to be involved!